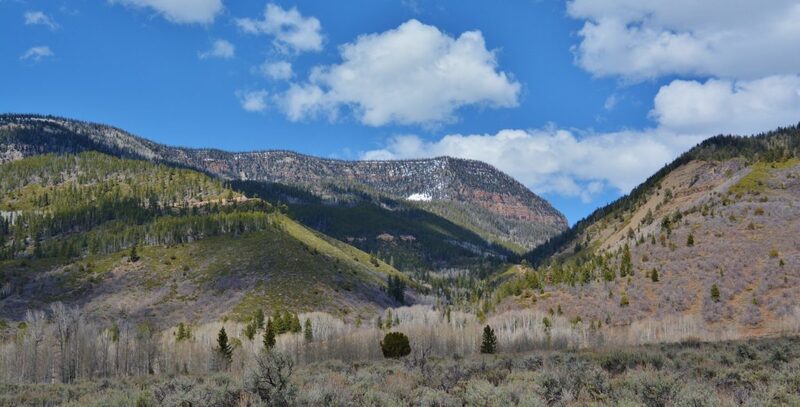 On April 22 (2018) made my first exploratory/accessibility trip into the Western High Uintas. 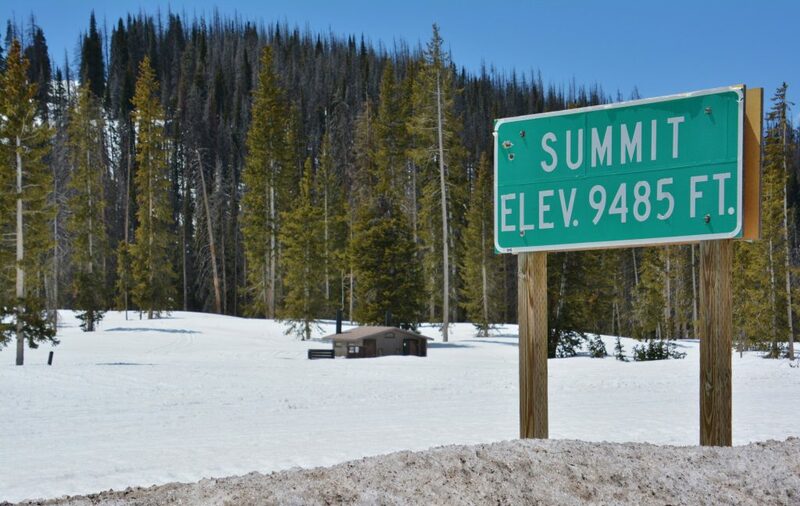 Wolf Creek Pass and the “Gateway to the Grandaddies” at the Grandview Trailhead are both at approximately the same elevation, which sort of indicates what the snow depth would be at the Trailhead. We have come down from the pass to the Canyon of the North Fork of the Duchesne River — which canyon we see below, with basically no snow in sight. The North Fork of the Duchesne River is as low as I have ever seen it. Above we are looking up at Hades Canyon. 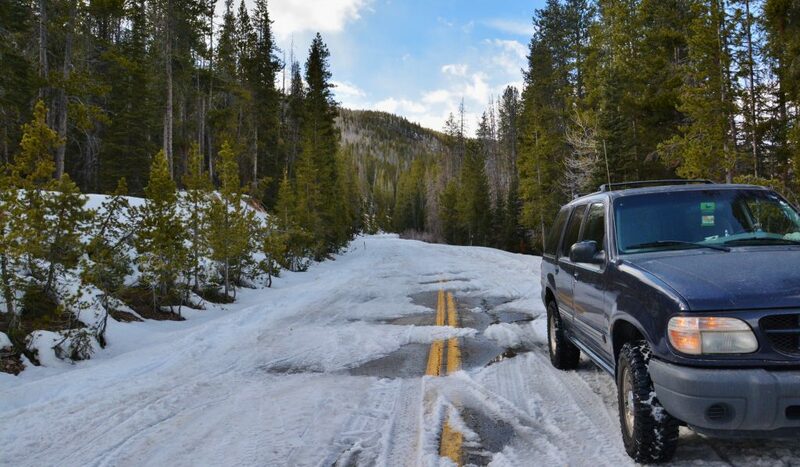 The road to the GRANDVIEW TRAILHEAD is still closed. A Forest Service worker 10 days ago drove the road and got to the Splash Dam, but with 3 large trees across the road, plus some rock slides. 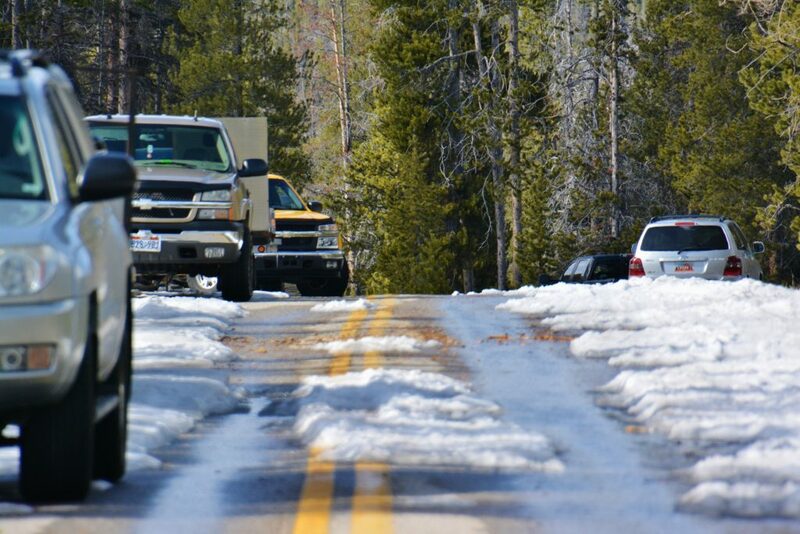 They will work at getting that cleared up, but at Splash Dam there is still too much snow, so it will be a while before the road will be open to the Trailhead. As soon as there is further developments, I’ll let all know. 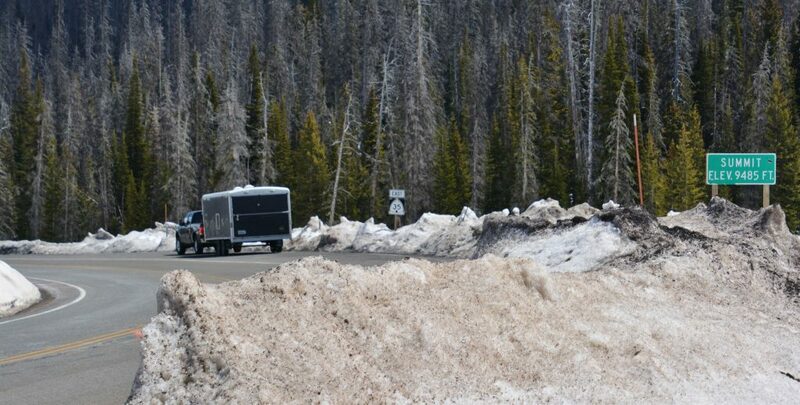 At 14 miles from Kamas there is a barrier with a large sign explaining that there is no maintenance during the winter, and the road is closed…..but half the highway is open for snowmobilers and others. 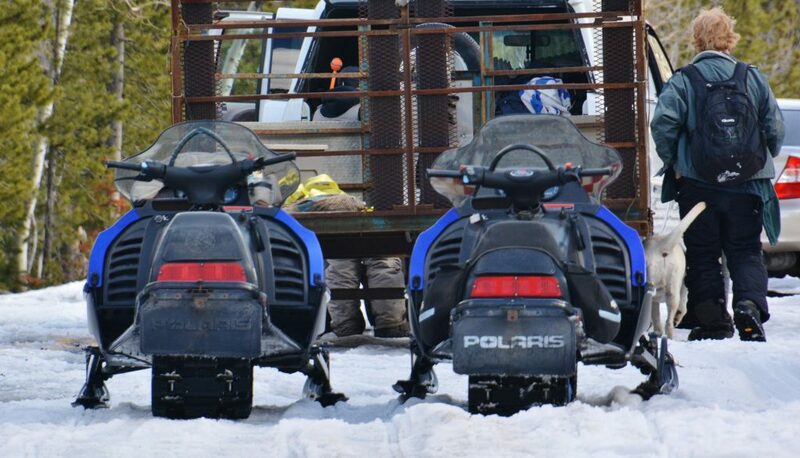 On April 22nd I was able to drive 6 more miles where cars with trailers, etc. were parked as seen below. I will immediately advise of anything more specific. In the meantime, I will continue my workouts in hopes of being ready for backpacking in my 83rd year, with a couple of warm-up backpacks in June & another couple in July, and hope to be ready for doing in August the entire HIGHLINE TRAIL from the Hayden Pass Trailhead to its actual end (or beginning) on highway 191 from Vernal to Flaming Gorge — 106 miles, plus extras as I follow the spine of the Uinta Mountains, for a total of around 126 miles.